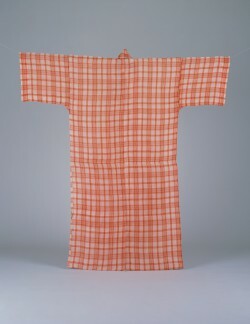 This summer costume was made of a white ramie cloth. 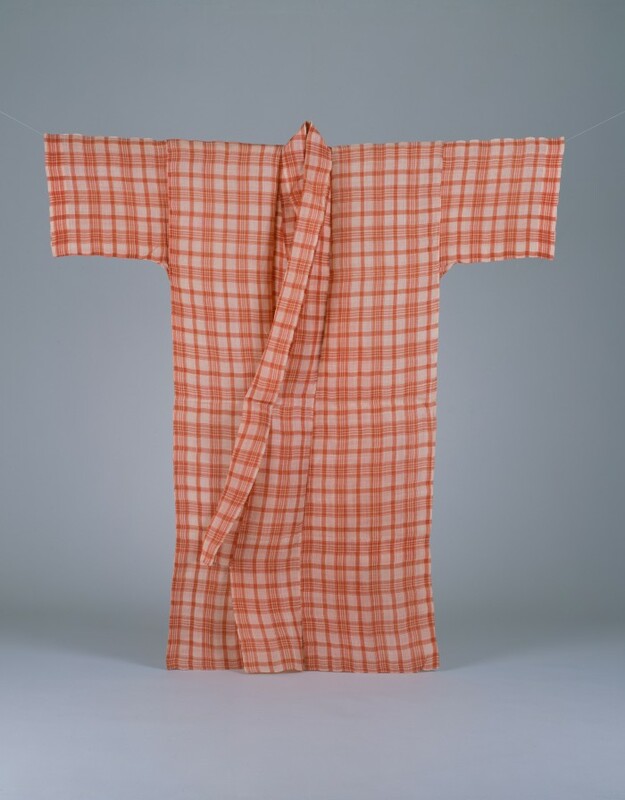 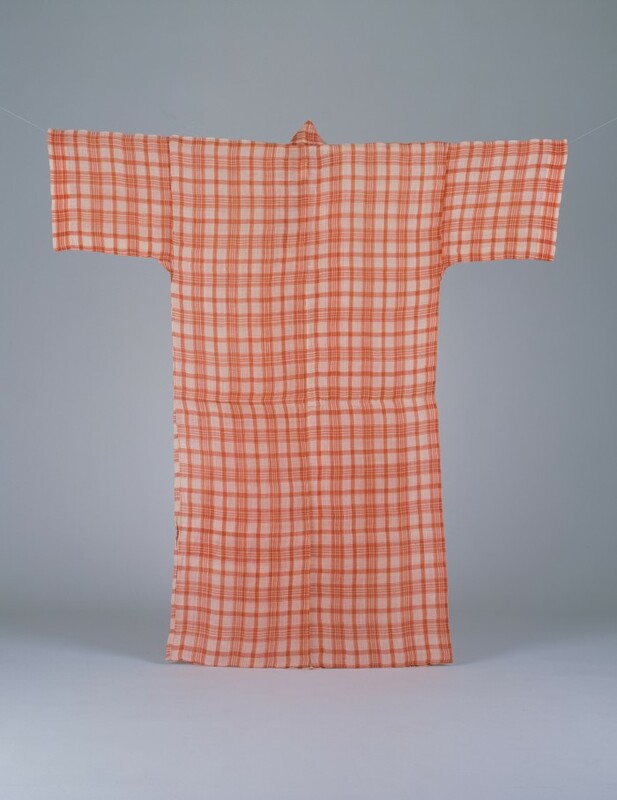 The red checkered pattern was dyed with safflower, and it gives a refreshing and cool impression. 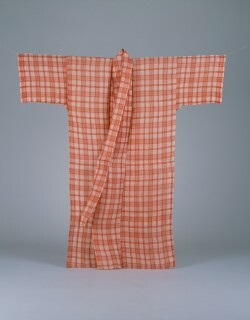 Considering the style of the costume, it is assumed that it was worn as everyday attire.